Howdy & welcome to BWD! 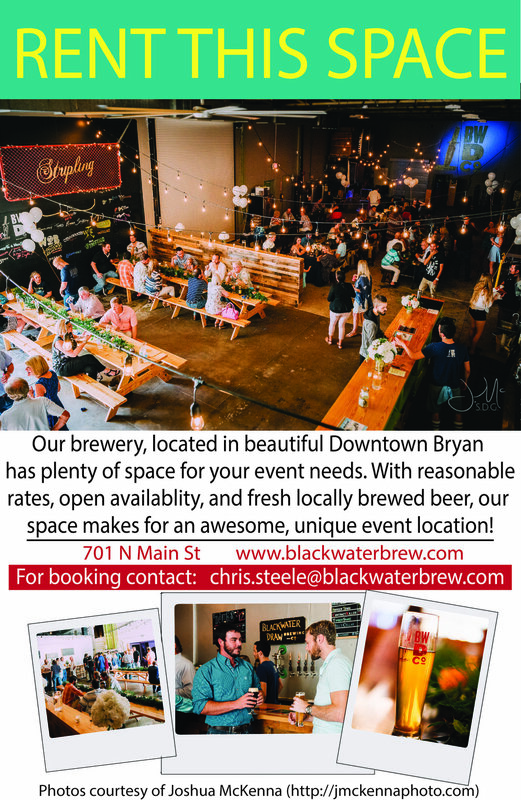 We’re a small brewery nestled at the end of Main St in Historic Downtown Bryan. We make beer. And we love what we do. Our focus is on making beers we like. So when we knew we loved beer and coffee it made sense that the first beer we brewed was, you guessed it, a coffee porter. We also brew a vast array of other styles and if you visit our taproom you can try a flight, drink a pint, or take home your favorite with you in a growler or 6 pack. You can also find BWD around the BCS area in grocery and convenience stores and at your favorite place to enjoy a beer. Copyrights © 2019 All Rights Reserved by Blackwater Draw Brewing Co.